Ok; I admit this blog article will not have a large readership, and it will take some work getting through it. Then why bother? Here’s why. 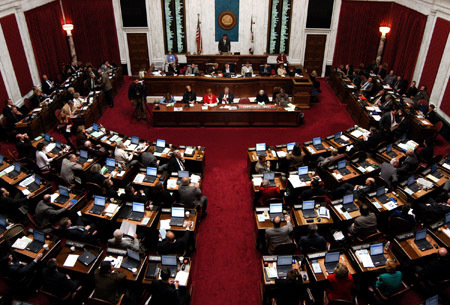 I have been authorized to give you a bit of “inside information” about how a very important, but nearly invisible, bill worked its way through the WV Legislature, with unanimous favorable votes at every stage. It has been signed by the Governor and has been the law in WV since March 15, 2015. And you have not heard of it. It will be my “soap box” for presenting my solutions. This law is part of it. Although the decision was quickly rescinded, and the final decision is pending, the Court’s thinking was clearly revealed in its opinion. The underlying facts of the case involve an agreed order by an estranged married couple to leave each other alone. The wise family court judge of Harrison County simply ruled that the former wife was violating the order by constantly texting and calling her terminally ill ex-husband and that she could purge herself of contempt by leaving him alone for two years. Inexplicably, the Circuit Court of Harrison County ruled that a family court can only issue restraining orders if it concludes that there was domestic violence! Thus, the Circuit Court emasculated family courts from prohibiting 95% of the bad behavior, the very behavior that tends to spiral into violence! So strange, considering that a Circuit Judge would be horrified to think he couldn’t prohibit such behavior in his court. Why deny that the family court, which has concurrent jurisdiction of family matters, has the same power? I fought against believing that a circuit court judge would intentionally endanger West Virginia families to gain advantage in the political arm-wrestling between the courts. I lost. I realized that it is hard to share power; just ask the dictators of the world. Since that day, I have spoken with many family law lawyers and judges about our bill. Every one of them agreed they thought family courts already had these powers, and that they absolutely need to have these powers. Fortunately, the Senate approved the House’s changes to the bill, not incidentally, on the same day that the Supreme Court Justices who were beating up Mr. Riffle’s lawyer during oral argument! I will be interested in how they rule. Here is the story from my point of view. b. We never had our lunch, but talk about a coincidence. I had TWO reasons to wander around the WV State Capital! My trial lawyers’ association, The WV Association for Justice, was having its Mid-Winter Conference, and it also needed volunteers to meet with legislators on various “tort reform” bills, so I headed to Charleston a day early and spent half a day in the Capital with the WVAJ’s lobbyist on “our issues”, and I was startled when I was able to meet in the afternoon with Tom O’Neill, the Chairs of the Senate and House Judiciary committees, and the counsel for the house judiciary committee. Yes, in the middle of “a legislature gone mad” (with controversial tort reform, energy, environmental, employment, and gun issues), I was able to find a couple of experienced family law colleagues and the past president of the WV Family Court Judiciary Association to show up on short notice. My colleagues were Lyne Ranson, current Chair of the WV State Bar Family Law Committee. 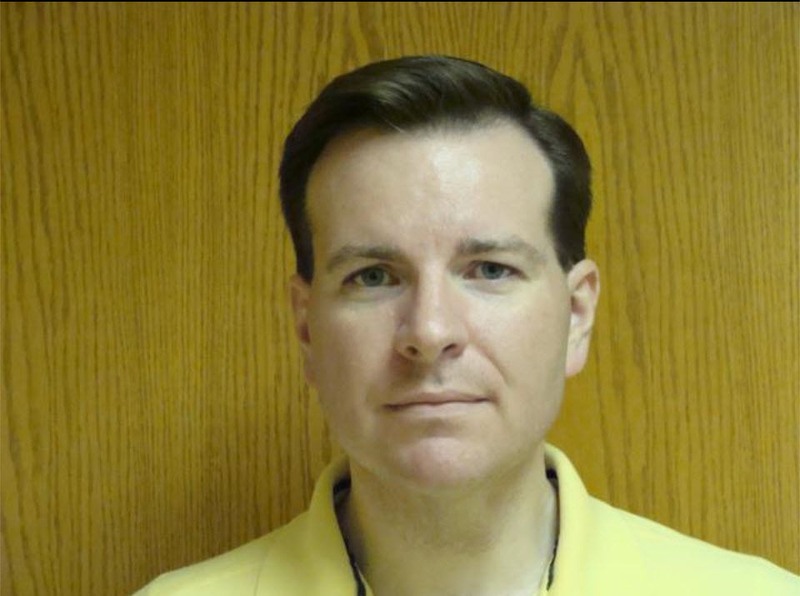 Rusty Webb of the Webb Law Firm is a former delegate and is very busy in the ABA Family Law Division. My Judge, Robert Sowa, referenced herein, when he warned me that opposition was gathering, said we were described as “an inconsequential group of family law practitioners and Family Court Judges. I had to admit that we probably fit the description! We were given a patient audience for nearly an hour! Our “lobbying group” was thrown together in less than 24 hours! We were armed with a simple truth, a court must be able to enforce its orders. Having two hours between my morning and afternoon meetings, I drove to South Charleston and ate at a Taco Belle, and I drafted a revised proposed bill in the Taco Belle parking lot which I e-mailed to Tom. Near the end of our meeting, I mentioned that the closest I had ever got to such a thing before was meeting my old friend, and our Upshur Delegate, Dale Riggs, nearly 20 years ago on the corner of Main St. and N. Kanawha in Buckhannon. I told him that the state of California had just passed a “stalking bill” and that it could be a good bill for the victims of stalking in WV. Dale asked me many questions and that I get him a copy of the bill, which I did. I believe I heard chiming music, and I could feel my good friend looking down on us with a smile of approval! It was a good omen. Tom later advised me that with the Supreme Court’s approval, and many good comments in the senate session by Senator Trump and others, “our bill” passed the Senate unanimously! I guessed we were headed to “easy sailing” through the House Judiciary Committee and the house….NOT! I assured him we had addressed the concerns (concerns apparently of those “in the know” had about risks to the funding of domestic violence programs through the “Federal Gun Control Act” and “Violence Against Women Act”.) But, he told me his source had direct information the “domestic violence lobby” was going to try to kill the bill. I hoped he was wrong. He wasn’t! Tom advised me that the House Judiciary Committee would consider and vote on the bill the next day. Could I come down? I learned that Judge Sowa had been selected by the Judiciary Association to appear in favor of the bill. I decided to clear my calendar. Three to four appointment cancellations later, I was on the way to another visit to the State Capital. I had no clue that I would spend five hours watching the senate in session, before it adjourned and The Judiciary Committee convened. I learned more about pooling, and political posturing, than I really wanted. During a break, I got to talk to the WV Legal Aid Representative and assured him our bill would do no harm to Legal Aid or its clients. . He went home, so I felt we were doing fine. Just before the Committee session began, Tom came over and whispered, “The adversaries to the bill are here.” What? What adversaries? My competitive juices began to flow. And he did, stating that an distinguished lawyer from Buckhannon was here to answer questions in support of the Bill. Another Delegate, visibly irritated, said there were people there to explain why the bill was a bad thing. I realized that but for Tim’s alertness I would have spent 15 minutes hearing negative comments about the bill. But I got to go first! I didn’t know where to stand, was directed to the microphone, and began speaking. I was gently chided that I was there to answer questions, NOT to give a statement! Tim then lobbed “softballs” which allowed me to stress that this bill “gave” family courts powers they had been exercising for decades, the same powers that circuit courts have, and that the Supreme Court’s ruling was endangering this power. I also explained that the bad behavior I was talking about made up the 95% of behaviors that domestic violence laws do not touch! I explained that, from my experience, it is this behavior that spirals into domestic violence. My opponents’ sole objection? Passing such a law might endanger funding under The Federal Gun Control Act and The violence Against Women Act. That made no sense to me as we were talking about behavior that was NOT domestic violence as defined by law! I assured them it would not. The committee members were gentle to me and impatient with my adversaries. I thought that was a good sign. Then the Committee adjourned, agreeing they could not yet vote, but promising to vote in the morning. I hate to admit it, but this bill didn’t provide for that. I replied, “Larry, I think it is a great idea so long as we don’t lose any of the other provisions of the bill.” Delegate Rowe’s brilliant insight became part of the bill. The snow was coming down, but I went back into the committee room and had a nice chat with the folks who spoke against the bill. It was a constructive meeting. They are impassioned advocates of domestic violence laws. I am too. (See my reference to The Stalking Law above.) Once they understood that this bill and the domestic violence statute are compatible and complimentary, they warmed up to it. I explained that when the only tool we have is a hammer (Domestic Violence Statute), then every problem looks like a nail. I suggested we had to have this tool for “the other 95%” of bad behavior. To my surprise, they agreed, and assured me they would try to come up with compromise language that would do what I proposed while protecting their funding. They kept their word. As a result of this constructive meeting, he House passed an amended version of Senate Bill 430 which the Senate later approved. The bill passed every vote unanimously, and the Governor signed the it into law on March 15, 2015. And NOBODY NOTICED. I have yet to see or hear one “news item” on this important, but not controversial, bill. Tom O’Neill and I had a wonderful collaboration, with helpful contributions from many sources. 63. So, there you have it; a bad circuit and Supreme Court decision, causing a blog rant, stimulating a suggestion that we write a bill, and the process of that bill becoming law. ____________ [Passed March 13, 2015; in effect from passage.] ____________ AN ACT to amend and reenact §48-27-507 of the Code of West Virginia, 1931, as amended; and to amend said code by adding thereto a new section, designated §51-2A-2a, all relating to exempting orders enjoining certain contact between parties to a domestic relations action from the prohibition against mutual protective orders; authorizing family courts of the state to enter standing orders enjoining certain contact between parties to a domestic relations action; providing for certain terms and effective length of such orders; authorizing family courts of the state to enter orders enjoining certain contact between parties to a domestic relations action when there has been a finding of misconduct by a party; authorizing family court to enforce its order through an order of contempt; and expressing intent of the Legislature. Be it enacted by the Legislature of West Virginia: That §48-27-507 of the Code of West Virginia, 1931, as amended, be amended and reenacted; and that said code be amended by adding thereto a new section, designated §51-2A-2a, all to read as follows: CHAPTER 48. DOMESTIC RELATIONS. ARTICLE 27. PREVENTION AND TREATMENT OF DOMESTIC VIOLENCE. 48-27-507. Mutual protective orders prohibited. Mutual protective orders are prohibited unless both parties have filed a petition under part three of this article and have proven the allegations of domestic violence by a preponderance of the evidence. This shall not prevent other persons, including the respondent, from filing a separate petition. The court may consolidate two or more petitions if he or she determines that consolidation will further the interest of justice and judicial economy. The court shall enter a separate order for each petition filed: Provided, That nothing in this section shall preclude the court from entering an order restricting contact pursuant to section two-a, article two-a, chapter fifty-one of this code. CHAPTER 51. COURTS IN GENERAL. ARTICLE 2A. FAMILY COURTS. 51-2A-2a. Family court jurisdiction to restrict contact between parties. (a) A family court in its discretion may, at any time during the pendency of any action prosecuted under chapter forty-eight of this code, restrict contact between the parties thereto without a finding of domestic violence under article twenty-seven of said chapter. This order shall not be considered a protective order for purposes of section five hundred seven, article twenty-seven, chapter forty-eight of this code. A court may enter a standing order regarding the conduct expected of the parties during the proceeding. Any standing order may restrict the parties from: (1) Entering the home, school, business or place of employment of the other for the purpose of bothering or annoying the other; (2) Contacting the other, in person, in writing, electronically or by telephone, for purposes not clearly necessary for the prosecution of the underlying action or any obligation related thereto or resulting therefrom. (b) Upon a finding of misconduct by a party, the court shall enter an order against the offending party enjoining the conduct which disturbs or interferes with the peace or liberty of the other party so long as such conduct does not rise to the level of or constitute domestic violence as defined in article twenty-seven, chapter forty-eight of this code. The court shall not issue orders under this section in cases where the conduct of either party has previously risen to the level of domestic violence. (c) Nothing in this section shall preclude the court from entering anemergency protective order, or final protective order, as provided in article twenty-seven, chapter forty-eight of this code. (d) Notwithstanding the provisions of section five hundred five, article twenty-seven, chapter forty-eight of this code, an order entered pursuant to the provisions of this section shall remain in effect for a period of time as specified in the order. (e) The court may enforce orders under this section against the offending party through its powers of contempt, pursuant to section nine of this article. (f) It is the express intent of the Legislature that orders issued pursuant to this section are to restrict behavior which is not of sufficient severity to implicate the provisions of article twenty-seven, chapter forty-eight of this code and 18 U. S. C. §922(g)(8). **** STATE OF WEST VIRGINIA SUPREME COURT OF APPEALS David J. Riffle, Respondent Below, Petitioner (vs.) CA No. 14-0042 (Harrison County 12-D-459-5) Shirley I. Miller, Petitioner Below, Respondent FILED November 24, 2014 RORY L.PERRY II. CLERK SUPREME COURT OF APPEALS OF WEST VIRGINIA MEMORANDUM DECISION Petitioner David J. Riffle, by counsel Jerry Blair, appeals the Circuit Court of Harrison County’s October 30, 2013, order reversing the family court’s entry of a mutual restraining order in the divorce proceedings below. Pro so respondent Shirley I. Miller filed a response. On appeal. petitioner alleges that the circuit court erred in overturning the mutual restraining order. This Court has considered the parties’ briefs and the record on appeal. The facts and legal arguments arc adequately presented, and the decisional process would not be significantly aided by oral argument. Upon consideration of the standard of review, the briefs, and the record presented, the Court finds no substantial question of law and no prejudicial error. For these reasons, a memorandum decision affirming the circuit court’s order is appropriate under Rule 21 of the Rules of Appellate Procedure. Petitioner and respondent were married in Harrison County in December of 1988. Thereafter, in August of 2012, petitioner filed a petition for divorce in the Family Court of Harrison County. That same month, petitioner filed a petition for domestic violence protection in the family court after which an emergency protective order wasissued.However, in October of 2012, the family court issued an order terminating the protective order because the panics, by counsel, reached a temporary agreement in the underlying divorce action. Further, the family court issued a mutual no contact order preventing either party from contacting or otherwise communicating with the other party. In the order, the family court also directed the pending domestic violence case be dismissed. In November of 2012, the family court entered a mutual restraining order. 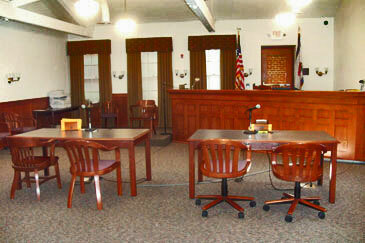 Thereafter, the family court held a final hearing on the divorce petition in January of 2013. By order entered on February 19, 2013, the family court entered its “Agreed Final Decree of Divorce” that provided respondent would place the marital home on the market and further provided thai a mutual restraining order was entered. In August of 2013, the family court entered an order nunc pro tunc amending the agreed final divorce decree clarifying that petitioner, not respondent, was to put the marital home on the market. That same month, the family court entered an order following a hearing on August 6, 2013. finding respondent in contempt of court for violating the restraining 1. order. The order allowed respondent to purge herself of contempt it” she had no further contact with petitioner, directly or indirectly, For the next two years. Respondent thereafter filed a petition for appeal to the circuit court in regard to the mutual restraining order, and after filing an amended petition, a hearing was held in the circuit court on September 27. 2013. In October of 2013. the circuit court entered an order affirming the family court’s order nunc pro nine and reversing the mutual restraining order. It is from the circuit court’s order reversing the family court’s order, in pari, that petitioner appeals. We have previously established the following standard of review: In reviewing a final order entered by a circuit court judge upon a review of. or upon a refusal to review, a final order of a family court judge, we review the findings of fact made by (he family court judge under the clearly erroneous standard, and the application of law to the facts under an abuse of discretion standard. We review questions of law de novo. Syl.. Can v. Hancock, 216 W’.Va. -174. 607 S.E.2d X03 (2004). Upon our review, we find no error in the circuit court reversing the family court’s entry of a mutual restraining order. On appeal. 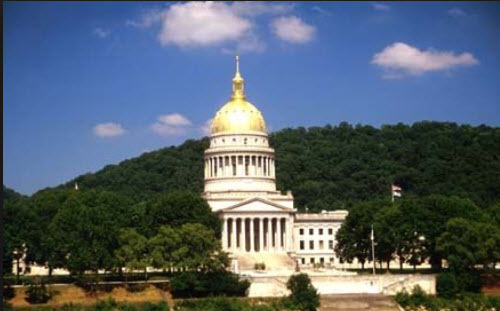 petitioner alleges that the circuit court erred in applying West Virginia Code Sec. 4S-27-507 to his divorce action because he alleges that it only applies to domestic violence actions. The Court. however, does not agree, as petitioner’s argument ignores the explicit interplay of the articles governing divorce and domestic violence prevention and treatment as found in Chapter 48 of the West Virginia Code. Specifically, in addressing protective orders in the context of divorce proceedings, West Virginia Code Sec. 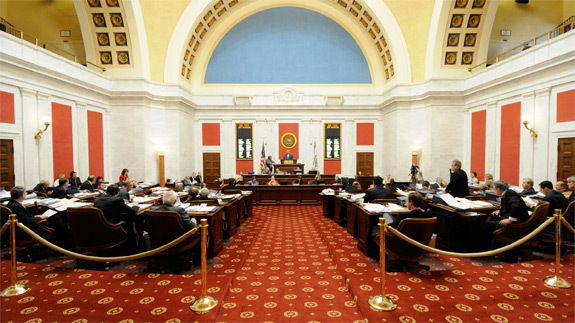 48-5-509(b) states that “[a]ny order entered by the court to protect a party from abuse may grant any other relief authorized In the provisions of article twenty-seven of this chapter, if the party seeking the relief has established the grounds for that relief as required by the provisions of said article,” West Virginia Code Sec. 48-5-5()9(c) goes on to state: |t]he court, in its discretion, may enter a protective order, as provided in article twenty-seven of this chapter, as pan of the final relief granted in a divorce action. either as a pan of an order for temporary relief or as pan of a separate order. Notwithstanding the provisions of section five hundred five of said article, a protective order entered pursuant to the provisions of this subsection shall remain in effect until a final order is entered in the divorce, unless otherwise ordered by the judge. ____________________________ * The order also reversed the family court’s order severing the parties’ joint tenancy in the marital home. However, petitioner alleges no error with the circuit court’s order in this regard and. as such, it is not subject to appeal. 2. As such, it is clear that mutual restraining orders, such as the one entered in the divorce proceeding below, are subject to the provisions of Article 27, Chapter 48 of the West Virginia Code. West Virginia Code Sec. 48-27-507 specifically states that “[mutual protective orders arc prohibited unless both parties have filed a petition under part 3 of this article and have proven the allegations of domestic violence by a preponderance of the evidence.” In ruling on the mutual restraining order at issue, the circuit court specifically found that “allegations of abuse have not been proven by either party by a preponderance of the evidence.” Instead, “‘[t]he record merely provides allegations of non-abusive contact by [respondent] such as a voice mail message to [petitioner] and attempted contact through a mutual colleague.” As such, the circuit court overturned the mutual restraining order because West Virginia Code Sec. 48-27-507 specifically prohibits the same in the absence of proof of abuse by a preponderance of the evidence. While petitioner argues that contract principles should allow the parties in the instant divorce to agree to the mutual restraining order, the Court does not agree. That the parties agreed to the inclusion of a mutual restraining order in the final divorce decree does not supersede the prohibition against mutual restraining orders absent proof by a preponderance of the evidence as required by West Virginia Code Sec. 48-27-507. As such, the Court finds no error in the circuit court’s reversal of the mutual restraining order. For the foregoing reasons, the circuit court’s October 30. 2013. order is hereby affirmed. Affirmed. ISSUED: November 24. 2(114 CONCURRED IN BY: Chief Justice Robin Jean Davis; Justice Brent D. Benjamin; Justice Margaret L. Workman; Justice Menis E. Ketchum Justice Allen H. Loughry II 3. BRAVO !…a significant contribution to the law of domestic relations and the citizens of West Virginia…WELL DONE !! !